Significant doubts have emerged about claims from a Chinese scientist that he has helped make the world's first genetically edited babies. Scientists can do gene editing research on discarded IVF embryos, as long as they are destroyed immediately afterward and not used to make a baby. But Prof He, who was educated at Stanford in the US and works from a lab in the southern Chinese city of Shenzhen, says he used gene-editing tools to make two twin baby girls, known as "Lulu" and "Nana". He claims to have eliminated a gene called CCR5 to make the girls resistant to HIV should they ever come into contact with the virus. He says his work is about creating children who would not suffer from diseases, rather than making designer babies with bespoke eye color or a high IQ. "I understand my work will be controversial - but I believe families need this technology and I'm willing to take the criticism for them," he says in the video. However, several organizations, including a hospital, linked to the claim have denied any involvement. Prof Robert Winston, Emeritus Professor of Fertility Studies and Professor of Science and Society at Imperial College London, said: "If this is a false report, it is scientific misconduct and deeply irresponsible. "If true, it is still scientific misconduct." 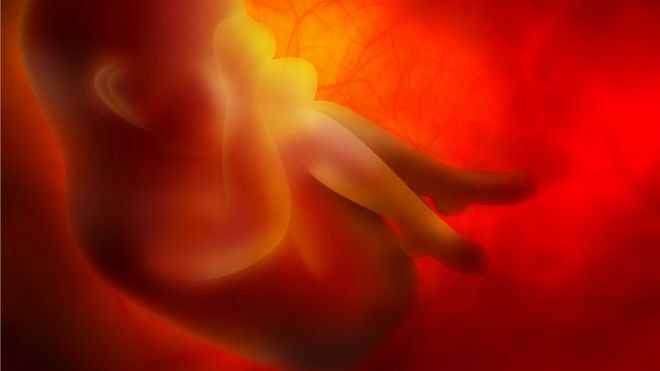 Dr. Dusko Ilic, an expert in stem cell science at King's College London, said: "If this can be called ethical, then their perception of ethics is very different to the rest of the world's." Prof Julian Savulescu, an expert in ethics at the University of Oxford, said: "If true, this experiment is monstrous. The embryos were healthy - no known diseases. "Gene editing itself is experimental and is still associated with off-target mutations, capable of causing genetic problems early and later in life, including the development of cancer. Dr. Yalda Jamshidi, an expert in human genetics at St George's, University of London, said: "We know very little about the long-term effects, and most people would agree that experimentation on humans for an avoidable condition just to improve our knowledge is morally and ethically unacceptable.